I am always honored to help support the Saddle UP! 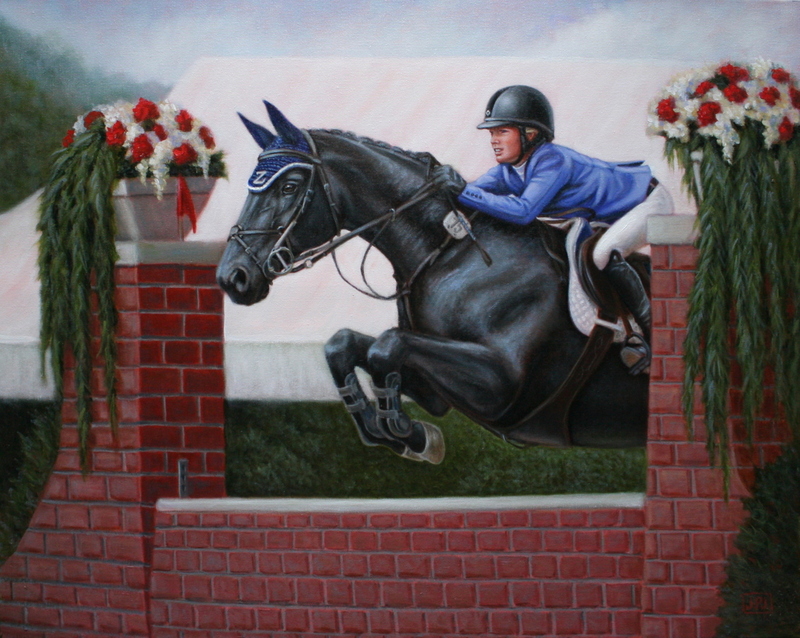 organization these past 5 years by providing the original oil painting of the winner of their $50,000 Music Country Grand Prix each spring. This year we have "Louise Graves and Zavira" spotlighted. I appreciate that they embrace a piece of art for their advertising for this fundraising event. The art is used for the advertising posters and invitations. The painting is then auctioned to raise funds. Here is a link to the website where you can have your questions answered about what, where, and when for this year's Music Country Grand Prix and to learn more about Saddle UP! therapeutic riding Programs. I'm looking forward to seeing who I'll get to paint for next year!